The burgeoning power of Rome in the late republican period brought her elite classes into contact with a vast Hellenistic world of literature, science, philosophy, drama, and, of course, esotericism. In this episode we examine the contours of what a Roman esotericism might look like. We then have a look at three men – Cicero, Varro, and Nigidius Figulus – elite Roman political players of the late Republic, but also men with a keen interest in the esoteric, and, in the case of Nigidius, perhaps our earliest known Roman esotericist in the full sense of the term. Cicero’s De divinatione is a great read, probably our best single literary source for ancient divination. You can find a Latin text or an English translation online. Mania, the mater larum: Varro, de lingua Latina, 9, 61; Ovid (Fasti II, 571 ff.) calls her ‘Lara’; Macrobius, Saturnalia, 1, 7, 34-5; Festus, p. 115 L.
Momigliano, A. (1984). ‘The Theological Efforts of the Roman Upper Classes in the First Century BC’, Classical Philology 79 : 199-211. We cite p. 201. Seleucus builds Seleuceia: This is an interesting story. Seleucus, a successor of Alexander the Great and founder of the Near-Eastern empire that we call ‘Seleucid’, wanted to found a new capital city, and consulted the local specialists for the appropriate astrological kairos. These specialists (the Magoi, the native-Persian specialist-group better known for having given their name to ‘magic’, but of course well-known for astrological expertise as well, and more or less equivalent to the Chaldæans found in other sources) were not well pleased with having been conquered, so they intentionally gave Seleucus an inauspicious time to found his city. However, the workmen went ahead and started at the right time anyway, against orders: the Magi shrugged and accepted that it was all fated. See Appian 11, 9, 58; cf. Diodorus 2, 31, 2. On Seleucus’ belief in astrology generally, see Tacitus Hist. II.78, 3-5. Varro: was buried in an earthenware coffin, a practice which Pliny calls ‘Pythagorean’: HN 35.160. May have written on arithmology, namely a book with the Greek title Hebdomades (‘Sevens’): Aulus Gellius NA 3.10.16. This book apparently had astronomical/astrological dimensions, which Gellius reports were based on the work or Nigidius (ibid. 3.10.2). Varro’s chapter de astronomia from his de disciplinis is unfortunately lost to us almost entirely, but the sixth-century Christian author Cassiodorus, in chapter seven (1218 C-D Migne) of his De artibus ac disciplinis liberalium litterarum, makes it clear that it dealt with the astrological side of astronomy/ astrology by noting that parts of it were against the Christian faith, and refusing to cite them. Get stuffed, Cassiodorus. Casa, A. D., 1962. Nigidio Figulo. Edizioni dell’Ateneo, Rome. Cornelli, G., 2013. In Search of Pythagoreanism: Pythagoreanism as an Historiographical Category. De Gruyter, Berlin. Cramer, F., 1954. Astrology in Roman Law and Politics. American Philosophical Society, Philadelphia, PA.
Jocelyn, H. D. (1977). ‘The Ruling Class of the Roman Republic and Greek Philosophers’, Bulletin of the John Rylands University 59 : 323-66. Musial, D. (2001). ‘Sodalicium Nigidiani: Les Pythagoriciens à Rome à la fin de la république’, Revue de l’histoire des religions 218 : 339-67. Rawson, E., 1985. Intellectual Life in the Late Roman Republic. Johns Hopkins University Press, Baltimore, MD. Swoboda, A., 1964. P. Nigidii Figuli operum reliquiæ. Hakkert, Amsterdam. Volk, K. (2017). 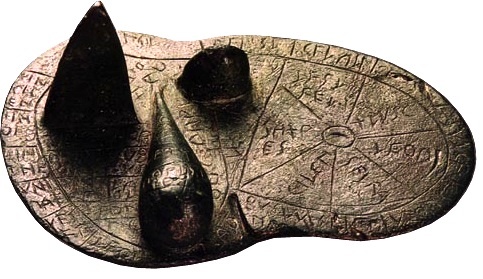 ‘Signs, Seers and Senators: Divinatory Expertise in Cicero and Nigidius Figulus’. In: König, J. & Woolf, G. (Ed. ), Authority and Expertise in Ancient Scientific Culture, Cambridge University Press, Cambridge. Flinterman, J.-J. (2014). ‘Pythagoreans in Rome and Asia Minor around the Turn of the Common Era’. In: Flinterman, J.-J. (Ed. ), A History of Pythagoreanism, Cambridge University Press, Cambridge.